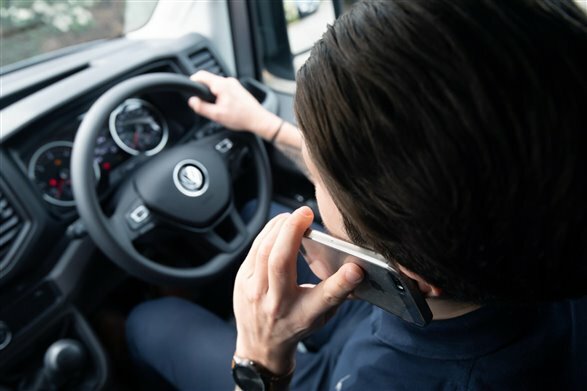 A study by Volkswagen Commercial Vehicles has uncovered some startling results about the phone habits of the nation’s van drivers. VW asked 500 van drivers about their mobile phone use, and more than half admitted they make and receive calls while driving without using a hands-free device. A third of drivers even admitted doing this despite having hands-free technology fitted in their vehicle. The results come two years on from the introduction of tougher penalties for using hand-held mobile phones at the wheel, with drivers risking a £200 fine and six penalty points if caught. The study found the average van driver spends 35 minutes on the phone each day while driving, making an average of seven calls. One-in-ten spends two hours or more on the phone. Volkswagen Commercial Vehicles, who offer Bluetooth hands-free as standard across their entire range, found that a quarter of van drivers do not currently have hands-free fired in their vehicle. Mitsubishi hits out at Government after it announced the Plug-in Car Grant will be scrapped.